AdvancED Global Commissions provide Pinecrest with a highly regarded accreditation, ratified at its meeting on January 29, 2019. Congratulations on this significant recognition! Tu participación y tu opinión es muy importante. ¡Participa! Merry Christmas from Pinecrest Preschool! A short message from our preschool’s students. 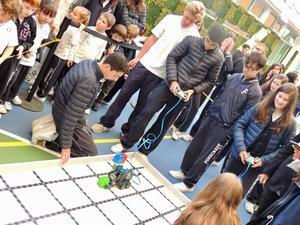 Pinecrest abiertos al cambio para innovar en la educación. Nuestro director Ing. 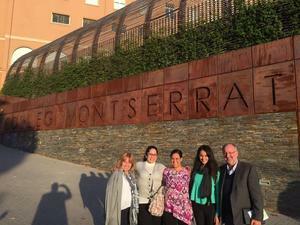 Eugenio Grandío y un grupo del equipo docente viajan a España para conocer y capacitarse en nuevas metodologías activas. Pinecrest received the AdvancED Renewal Accreditation Visit. 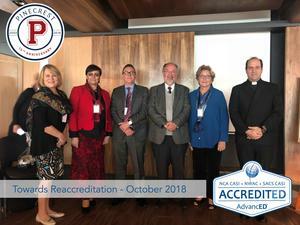 As part of the celebration of our XV Anniversary and looking forward to becoming an International School, Pinecrest Institute received from the 8th to 11th of October 2018, the external visit of the Advanced team to obtain the renewal of the International Accreditation. 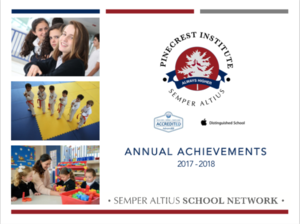 We share with you some of the achievements of the 2017-2018 school year. We want to thank the entire Pinecrest community for their effort, support and trust because together we always go higher.